On this Master’s course you will study the integrated planning and digital simulation of buildings. Over three semesters you will become familiar with all the important processes, starting from the initial project sketches right through to building demolition. … that graduates of the Master’s course enjoy outstanding career opportunities? The demand for academically qualified BIM specialists is currently growing. … that this postgraduate course qualifies you for the academic degree of Master of Sciences (MSc)? 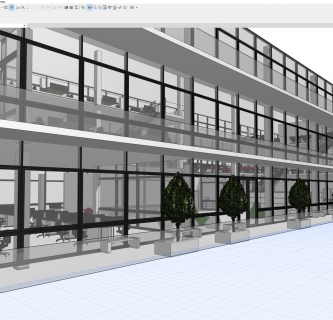 The university-level course in “Integrated Planning Design - Building Information Modelling (BIM)” is unique in Austria. … that you are taught by lecturers with relevant practical experience? To give you the best preparation for employment you are taught by a team of successful BIM specialists with global experience. … that the curriculum systematically deals with all specialist topic areas, explores them in depth and develops them further? The course is practice-oriented, teaching you knowledge and practical skills which are state-of-the-art and reflect the most recent research findings. … that the design of the Master’s course is based on the principle of blended learning? The combination of attendance periods and e-learning units is an ideal method of allowing you to combine a career with study. … that our lecturers are part of the international research community? Many of our lecturers work as experts in national, European and international BIM standardisation. Here you can find everything you need to know about the course.